Marilyn van Keppel's work never fails to amaze and inspire us. 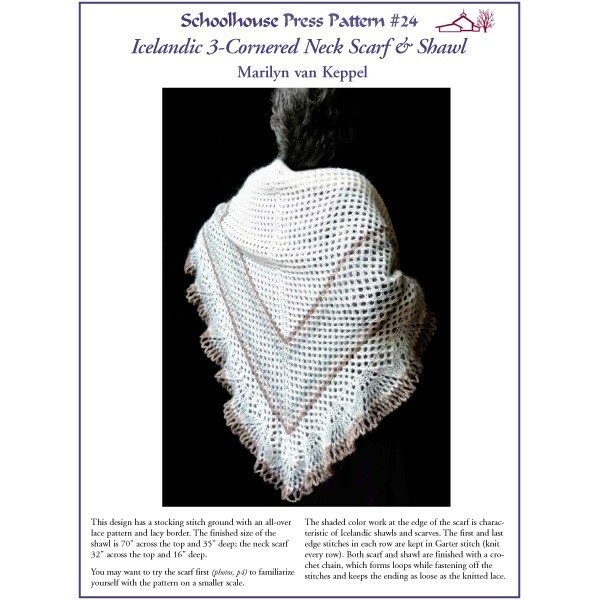 She has been knitting for over 50 years and has translated the patterns from the Foroese Shawl Book, as well as Three-Cornered and Long Shawls. This beautiful original design has a Stocking stitch background with an all-over lace pattern and lacy border. 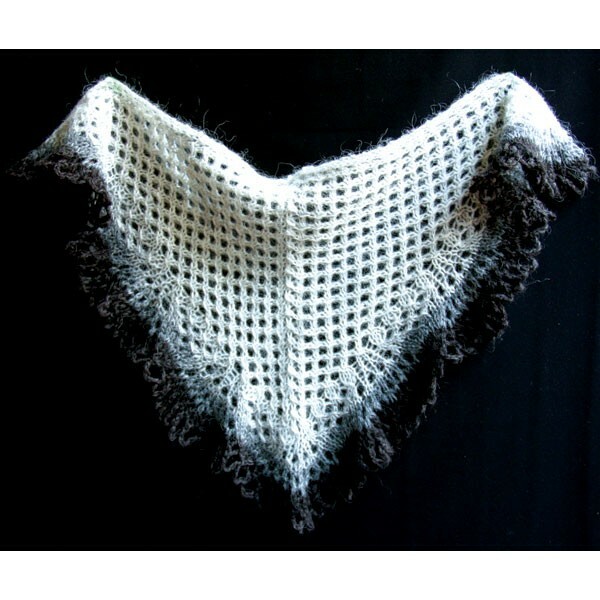 Try a neck scarf size first, then scale the pattern to any size you wish. 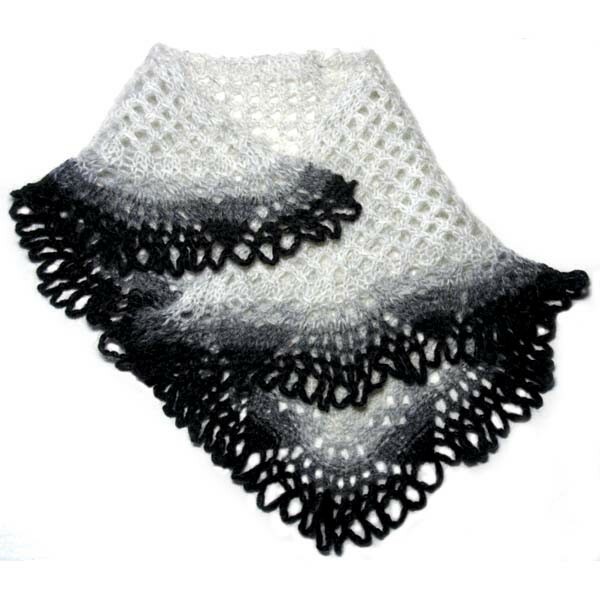 In our Unspun Icelandic, with a lovely crocheted loop lower edge.